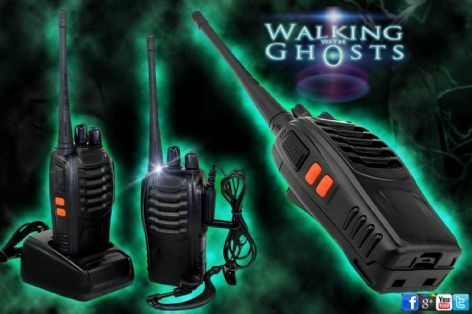 Walkie Talkies (more formally known as a handheld transceiver radios radios are commonly used at events of all kinds by organisers and security staff because of their ease of use & always connected status, as well as the fact you can have whole groups all connected to the same frequency at the same time keeping everyone in the loop. They also produce their own signal so will work in locations where a mobile phone would let you down. 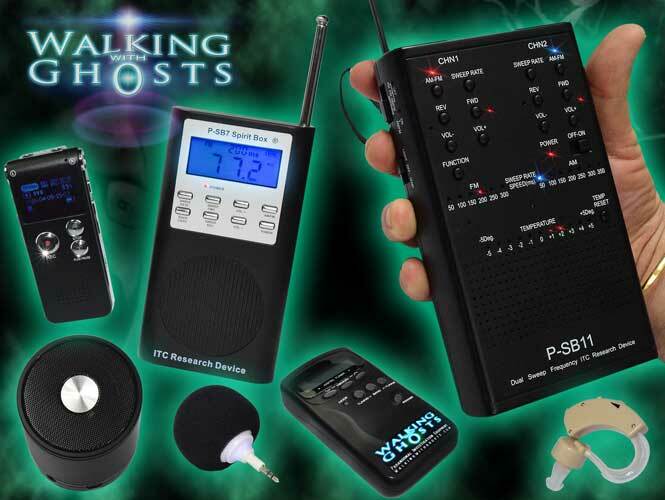 Ideal for keeping in touch when the team split up or individuals are on a lone vigil. They are the perfect small but rugged portable size for both indoor and outdoor investigations and can communicate clearly for several kilometres and through up to 20 floors in Buildings (distance varies depending on density of obstacles). They also come with a fitted led light for general use which includes a flash function for emergencies. They can be used with the internal speaker where everyone can hear, or with the included earpiece and mic attachment for private hands free use where only the user can hear the conversation. 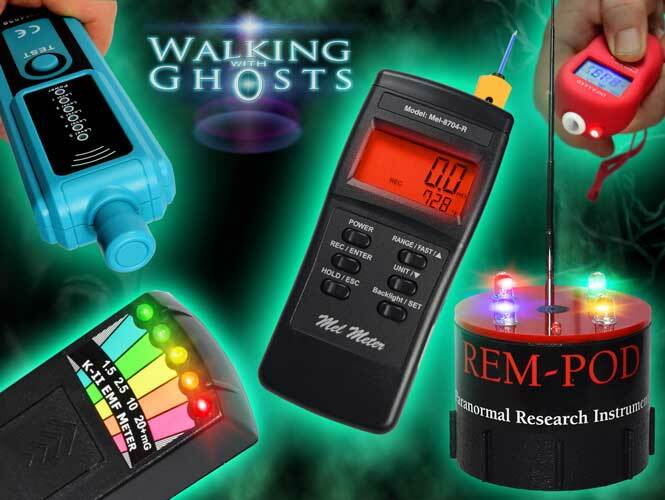 Infrared cameras are commonly used in paranormal research allowing images to be captured under lighting conditions that are invisible to the human eye. Within these invisible-to-the-human-eye light waves it is thought that apparitions and anomalies may be captured that would otherwise go unseen. It is also useful in investigations that no visible light is needed that could spoil the heightened senses and concentrated focus that can be generated working in a dark environment.